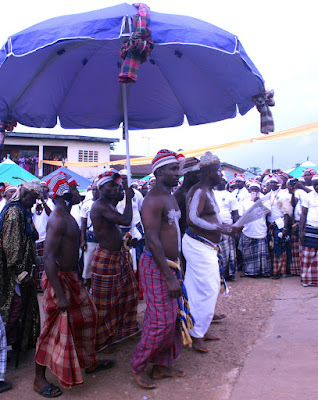 Ẹ́bị́rị́bá (colonial spelling ‘Ábíríbá’) is an Ìgbò-speaking community in Abia State, southeastern Nigeria, known by locals as “small London.” The nickname derives from Ẹ́bị́rị́bá’s centuries-old tradition of traders, who brought wealth home to build elaborate homes when possible, and who value western education, as well as their indigenous traditions. 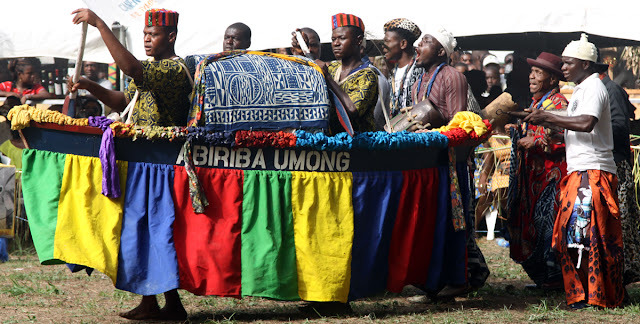 The Ẹ́bị́rị́bá traders who worked along the Cross River and into Cameroon created a guild called “Ábíríbá Umong.” This guild owns Ékpè in Ẹ́bị́rị́bá, and they are represented by an Ékpè canoe. 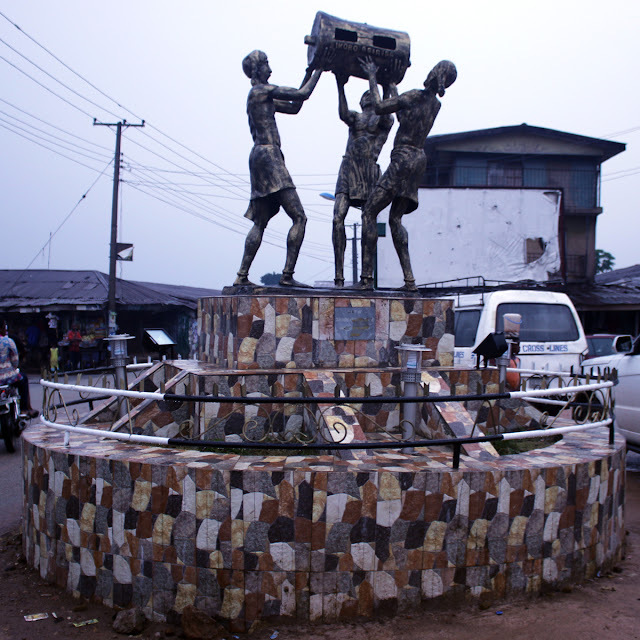 "With Umon as a beachhead, Abiriba smithery and enterprise gained entry into Efik land. 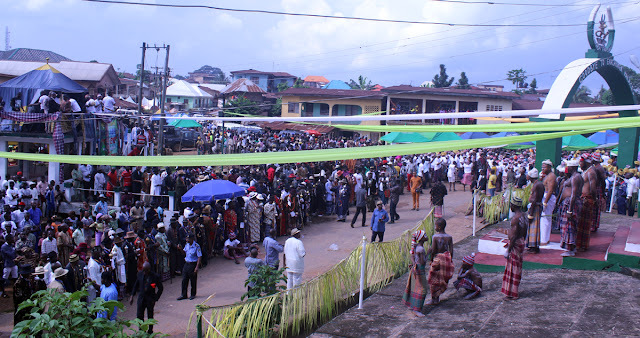 It was extended as well to all the important commercial centers in Ibibio, Annang, Eket as well as the inland port of the Ekois and other sub tribes of the Upper Cross River. Because of this, the Abiriba traders in this region became known as Abiriba Umon or the Abiribas of Umon region or better still, as the Abiriba of the River towns (Abiriba Mba mini)." (Kalu Ijekpa 2007: 120). 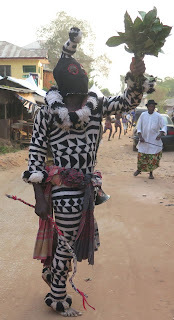 As Kalu Ijekpa indicates, Ùmọ́ọ̀n culture has become important in Ẹ́bị́rị́bá, as shown by the name of the canoe mask illustrated above. 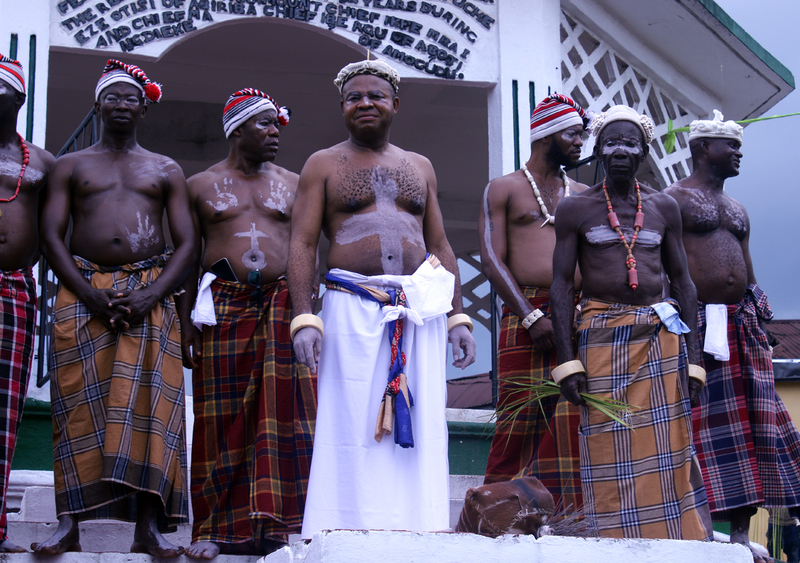 Independently, Ùmọ́ọ̀n influence also reached Cuba where in Havana, an Abakuá lodge is called “Apapa Umon” (Cabrera 1988: 63). 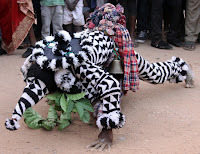 The artistic heritage of Ùmọ́ọ̀n Ékpè masks is clearly reflected in an 1800s Cuban Abakua performance, on the one hand, and in that of Ẹ́bị́rị́bá on the other, in contrast to other Ékpè masks elsewhere in the Cross River region. 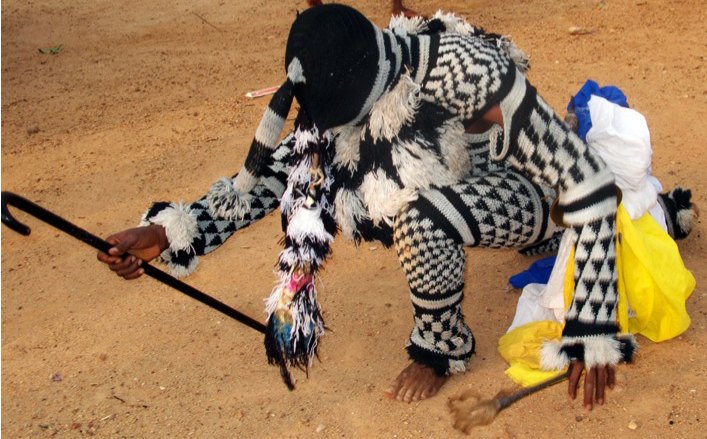 The visual similarity is also accompanied by a ritual one: the Ùmọ́ọ̀n, Ẹ́bị́rị́bá, and Cuban Ékpè masks (as in the images above) may touch their knees to the ground, while in Calabar, an Ékpè mask that did this would be fined. 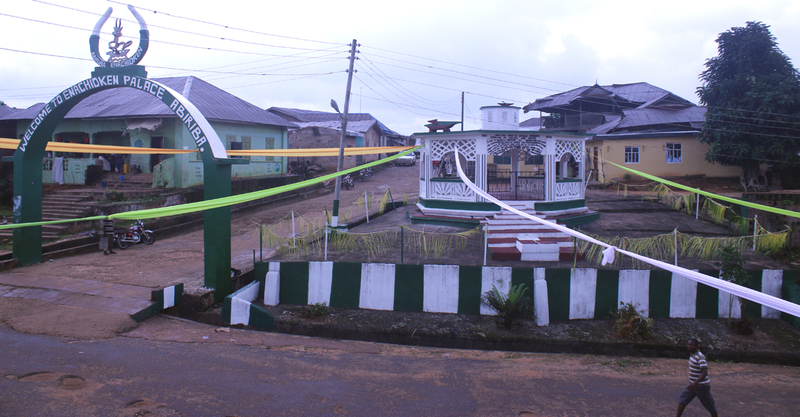 To understand these historic links, Miller traveled to Ẹ́bị́rị́bá several times at the invitation of community members, who have family ties with Calabar, Ugep and Arochukwu, where their ancestors were blacksmiths and traders, participating in the infamous commerce with European merchants of slaves and other commodities. 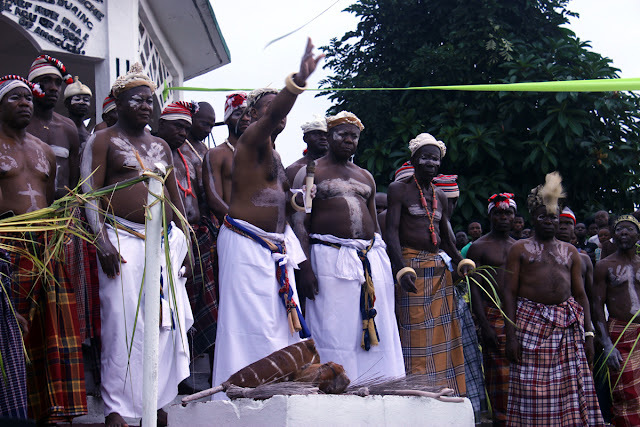 Ẹ́bị́rị́bá community leaders are admirable for their love of heritage, commerce and education. 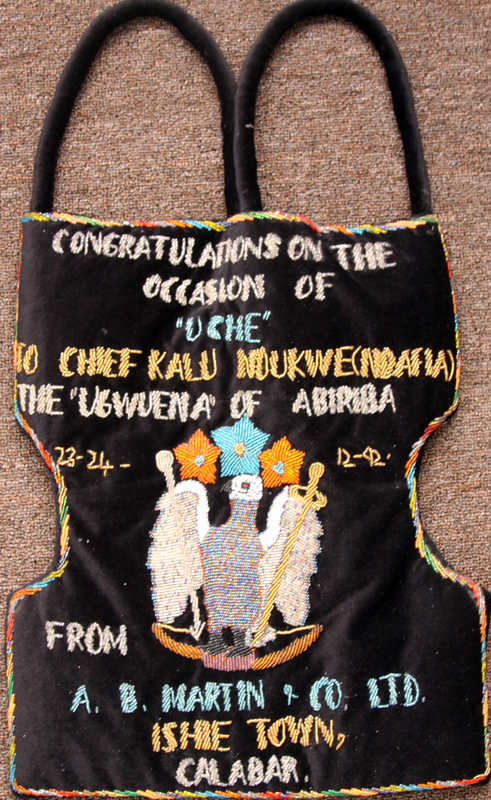 Every July, Ẹ́bị́rị́bá community holds a ceremony called Ítù Éyè, meaning “to pronounce the laws” (Ítù ‘to pronounce’; éyè ‘taboo’). 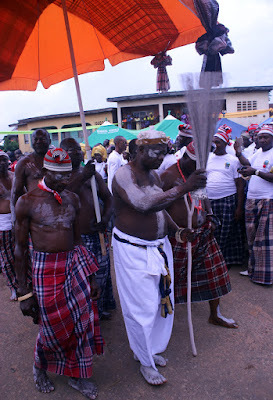 This rite is performed by the Enachioken, the Eze or ruler of Ẹ́bị́rị́bá, with the assistance of the Chief of Ihungwu (a village in Ameke) and the Chief of Amaogudu, representatives of Ẹ́bị́rị́bá’s three major quarters: Ameke, Agboji and Amaogudu. Before Ítù Éyè is done publicly, the Chief of Agboji, the Chief of Amogudu and the Enachioken meet to decide what laws are to be made, what laws are to be abolished, in addition to the bylaws regarding public health and works, agricultural production and holidays made by the seventeen village heads of Ẹ́bị́rị́bá. 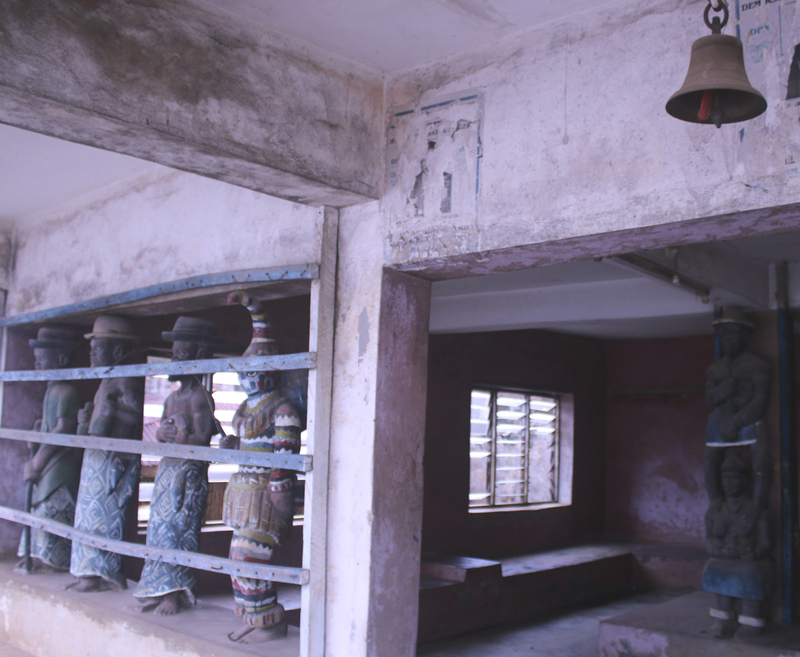 Each of the seventeen villages of Ẹ́bị́rị́bá have an Ékpè hall, often decorated with representative sculptures. During the public Ítù Éyè, the entire community gathers. 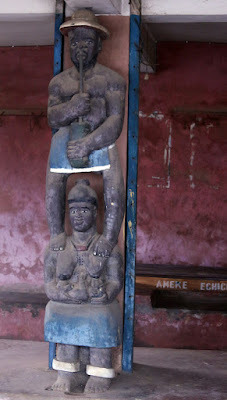 As new laws are announced, the two other people with the Enachioken are Eze Amogudu and Eze Amugu; they represent the younger brothers of the original founder of Ẹ́bị́rị́bá, who moved away from Ndi Okogo (Ameke), where the Enachioken palace is. 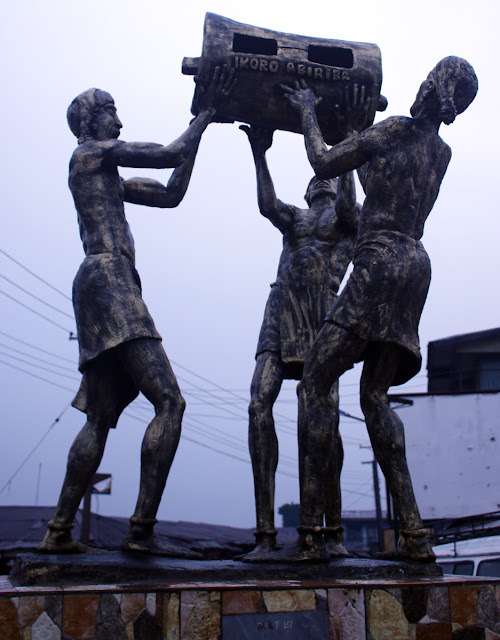 The first one, whose name was Chukwu, founded Umu-e-chukwu at Amaogudu; then the second child of the Enachioken, named Ngwu, founded Ihu-ngwu where it is today at Ẹ́bị́rị́bá. These people assemble when new laws are being made, and they are always present during the Ítù Éyè. The Enachioken, dressed in white for purity, and cabinet await the arrival of Eze Amogudu and Eze Amugu. When the Umu-e-chukwu Eze is coming out, he waits at a point for the Eze of Ihu-ngwu to join him, and then the two of them move up to the podium to join the Enachioken. 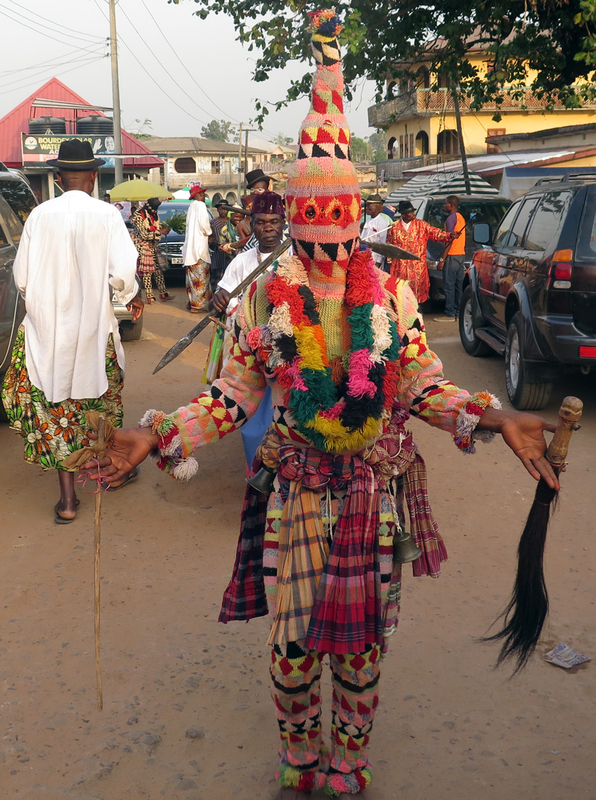 A second representative of the younger brother of the Ẹ́bị́rị́bá founder arrives to Ameke square in procession. This Eze carries a broom with many strands, each one representing a family in the community. They may say for example, “From next year if a girl becomes pregnant, the man who laid with her must marry her; this law will govern us.” Then the Enachioken will throw the fresh palm frond outwards, and the leader of the age grade overseeing the implementation of the law of the land will pick it immediately, indicating that the law is accepted and will be implemented. As another pronouncement is made, another palm frond will be thrown out, and picked up by the age-grade leader, until all the laws to govern the community are pronounced. The leader of the governing age grade (an age grade normally governs for four years), will pick the frond, representing an instruction for the implementation of a new law; that is Ítù Éyè. The leader of the age-grade awaits the palm fronds from the Enachioken; they will be placed inside the basket. 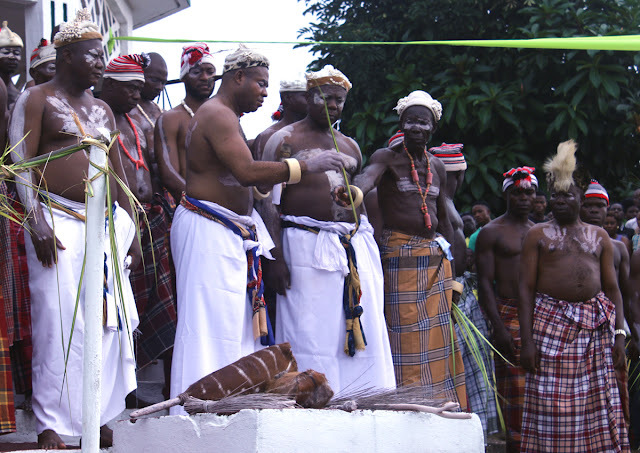 The age grade that receives the palm fronds holds them as sacred: if two persons are quarreling or disputing about a piece of land and the palm frond is presented, it is a halt order. Those who claim it must not enter that piece of land or building until the matter is settled, and the frond is removed. 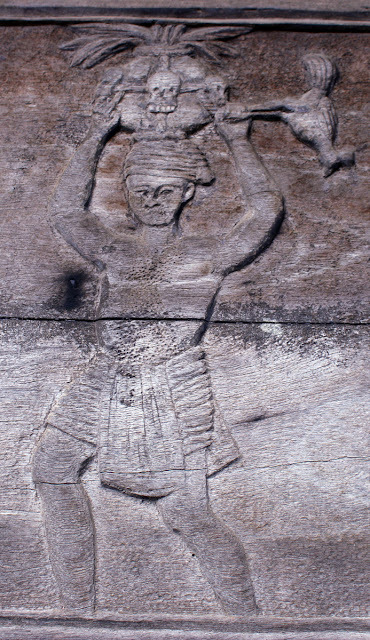 In the past when Ẹ́bị́rị́bá was going for war, they carried the palm fronds and it was a taboo to harm the person carrying the palm frond; he would go to declare war, then put the palm fronds in his mouth to return safely. When a corpse is being brought home, and the palm frond is displayed, all know that someone special is being brought home. It is a greatly revered symbol of peace. 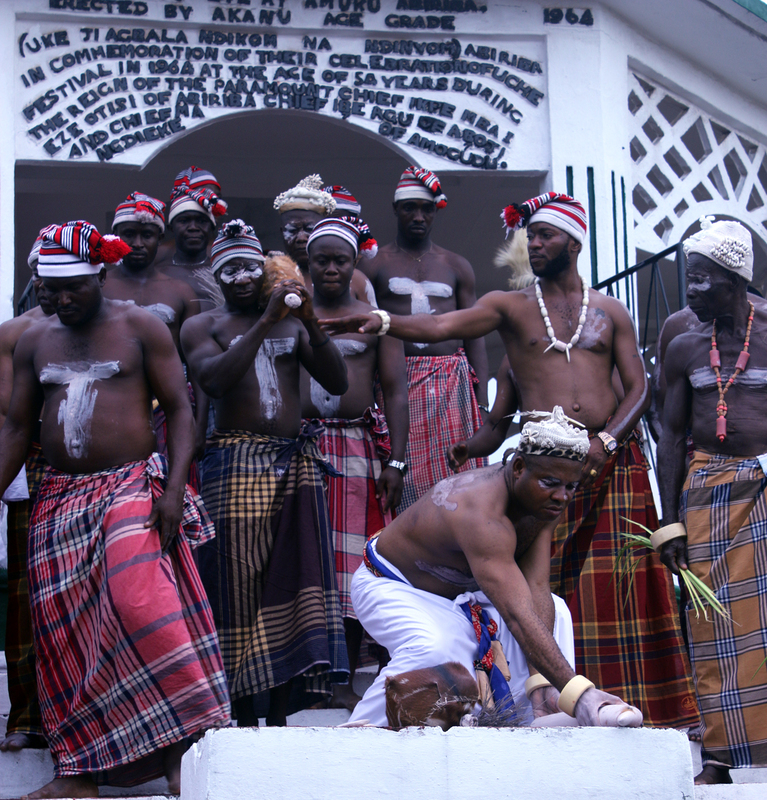 After the pronouncement of the king and the laws are pronounced, in the evening there is dancing and wrestling. First at Amuku square and secondly at Udanta square, Amogudu, people dance and celebrate. During these events the slit gongs are played for excitement. Ufi is also very important during New Yam Festival. 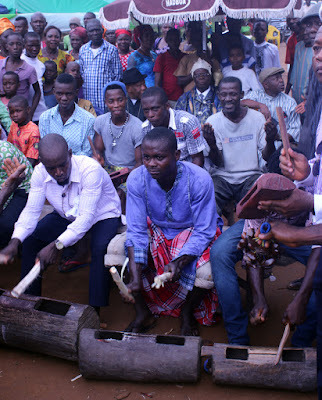 Then the larger gong called Íkòrò is beaten when a great thing is happening or about to happen, and also when an important person is entering the community. If there is war or an attack by an enemy, the Íkòrò will be played to alert the whole community. Those on their farms will rush home to find out what the Íkòrò has said; if it is war then they prepare to fight. 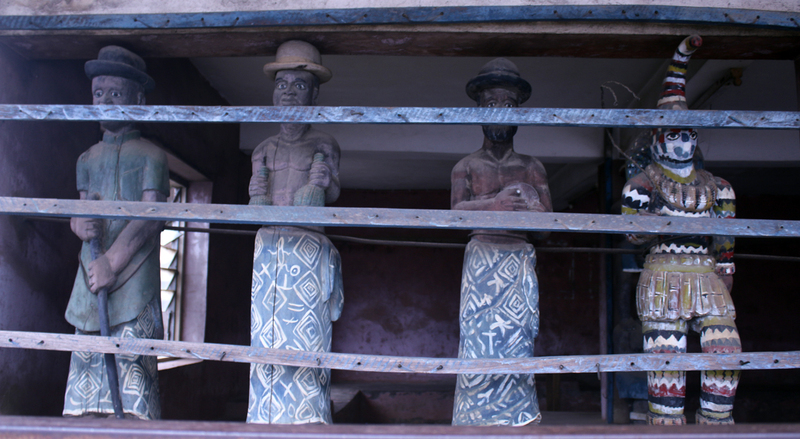 Many people have their own Ufi, a smaller one in their home, to beat it for the celebration of New Yam Festival. 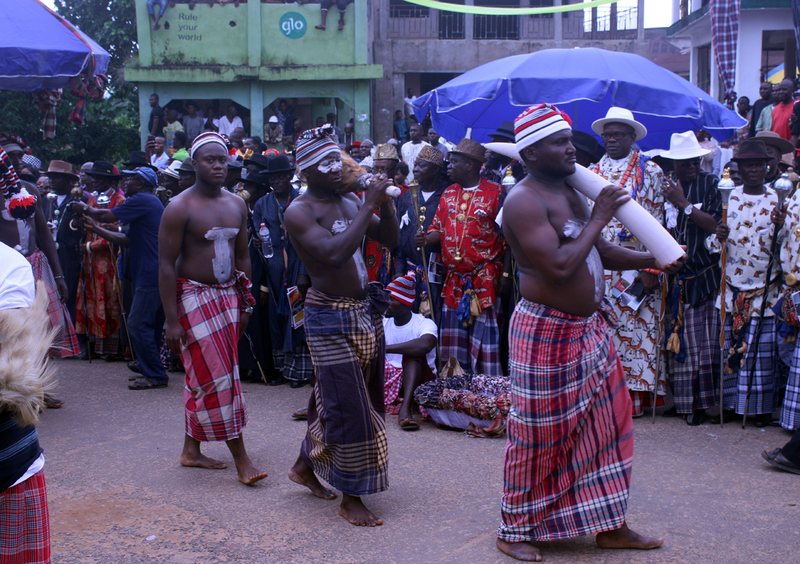 The Ikpirikpe war dance is common to Ẹ́bị́rị́bá, Ohafia, and Abam communities. The war dance song will tell listeners that in such a place such a hero did this and that. In the past they carried human skulls, but today they mainly carry carvings while dancing. 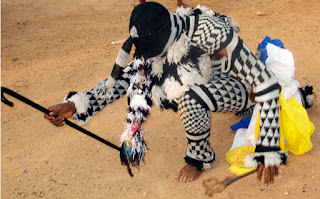 In a war dance there is normally a singer, and people who beat two sticks together and drummers; the dancers are in front surrounded by two assistants to the left and the right. 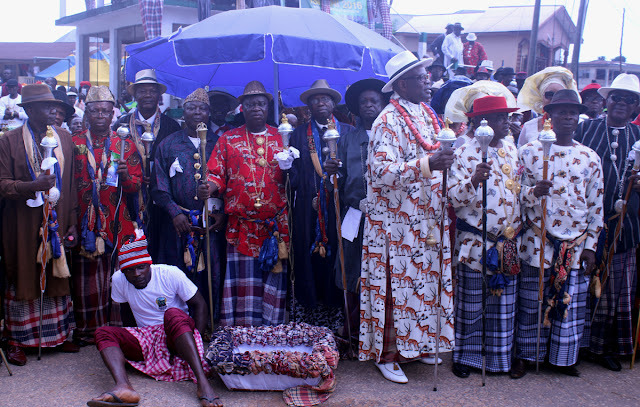 His Majesty Eze Kalu Kalu Ogbu IV, the Enachoken of Ẹ́bị́rị́bá kingdom, the Paramount Ruler of Ébíríbá people. Mr. Ijekpa Kalu Ijekpa, son of the late Eze Ábíríbá Umon, Chief Kalu Ikejpa, and the author of Ábíríbá Civilization. 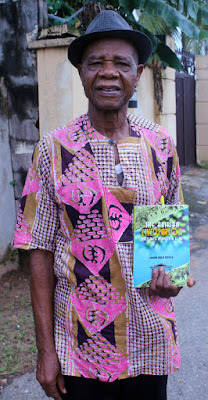 Mr. Ijekpa Kalu Ijekpa, author of Ábíríbá Civilization. 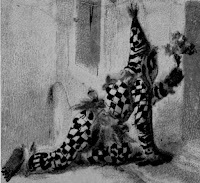 Cabrera, Lydia. 1988. La Lengua Sagrada de los Ñañigos. Miami: Colección del Chicherekú en el exilio. Kalu Ijekpa, Ijekpa. 2007. The Ábíríbá Civilization: Early days to the 20th Century A.D. Aba, Abia State: Heritage House Pubs. ISBN 978-978-084-525-4.